Izawa (이자와) is another gyukatsu (규카츠) restaurant that is nearby Atto Gyukatsu that I've shared a couple of posts ago. This place, also in a basement, has a slightly bigger seating area compared to the other place. 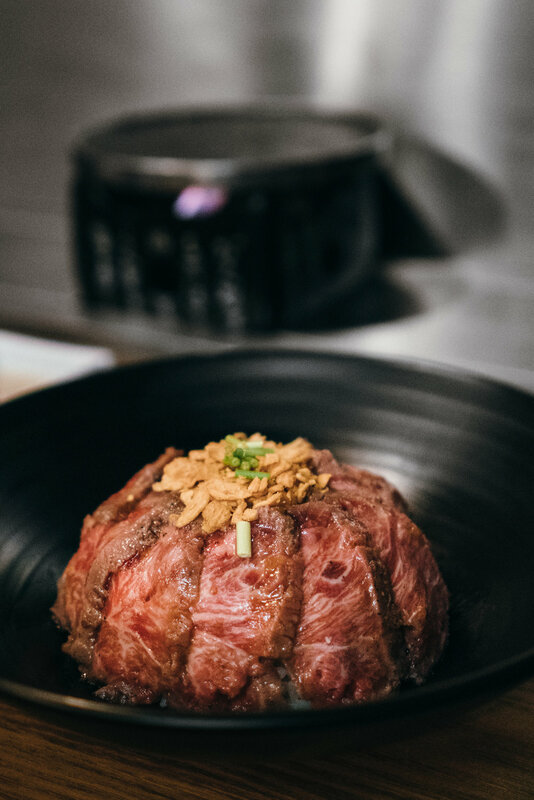 Gyukatsu (규카츠) is what I always order, and sometimes their Steak Don (스테이시동) if I come with a friend and we want to mix it up a bit and order to share. Their set menu comes with salad, side dishes, miso soup and rice and if you ordered their 2 persons set menu, it also comes with a choice of drink. I personally come here more often cos I like their gyukatsu slightly better. 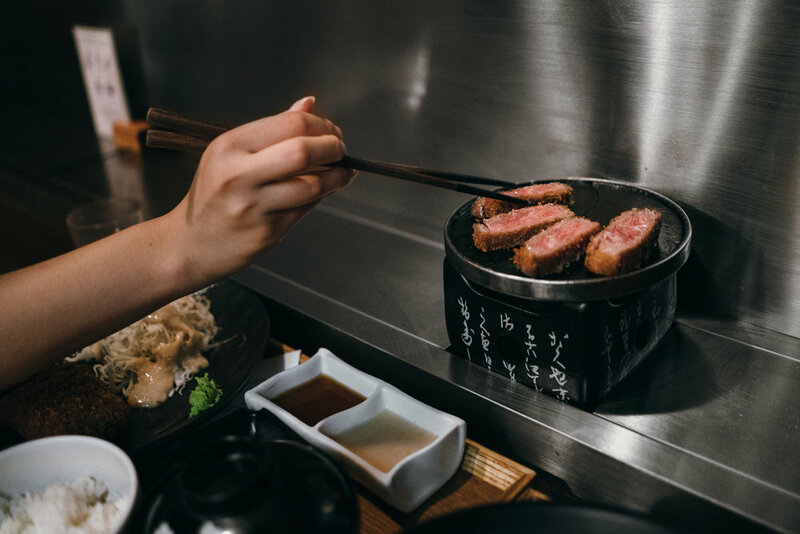 I think the beef is more tender and the stone plate grill that they use makes it easier to grill the meat (plus they change the grill plate for you quite a bit so your meat doesn't stick to the grill).